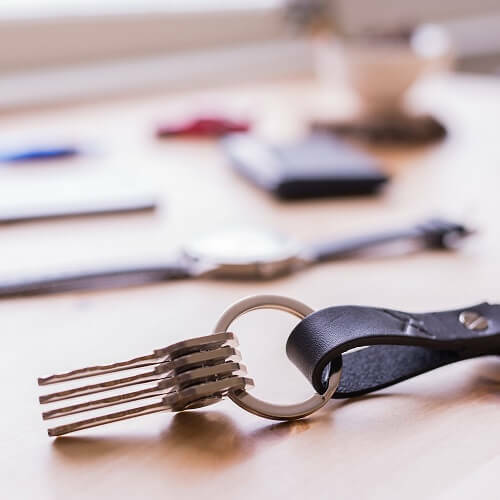 The most effective smart key holder to keep your keys from jingling and jangling – using tiny magnets to hold them together! 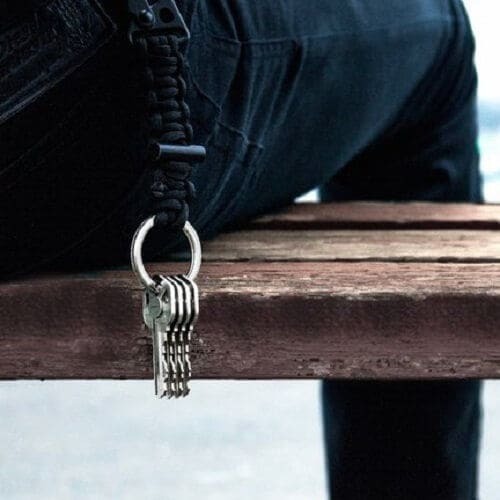 Irritated by noisy keys? 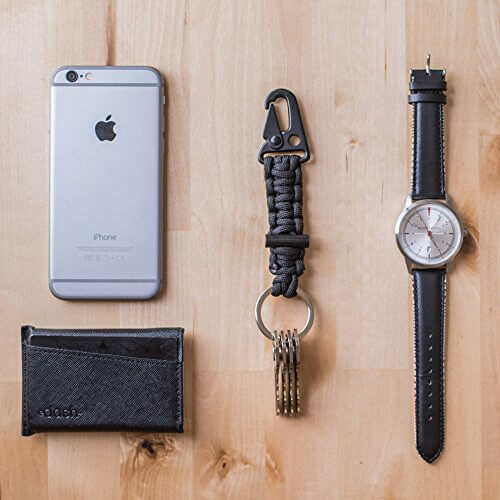 Introducing MAGKEY Magnetic Smart Key Holder to stop your keys from jingling and jangling. 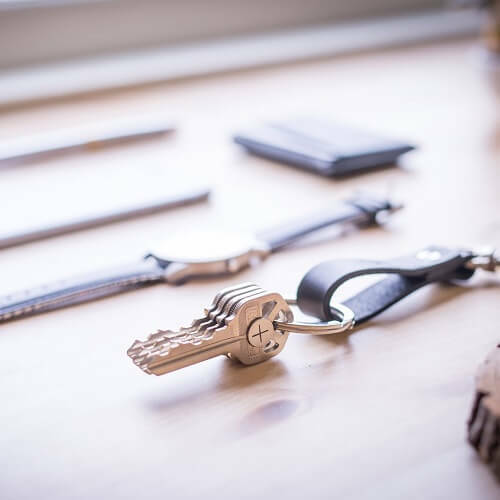 It simply uses tiny neodynium magnets designed to hold your keys together: super slim, rust-proof, and attach easily to your keys. Effective and lightweight. 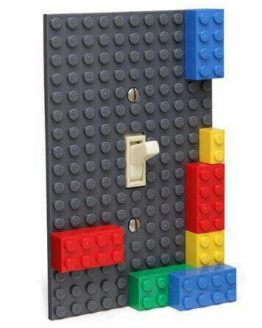 Just peel, stick and snap. 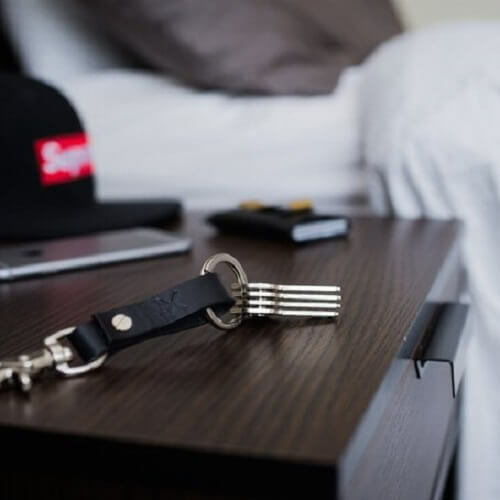 Voilà – no more noisy keys! 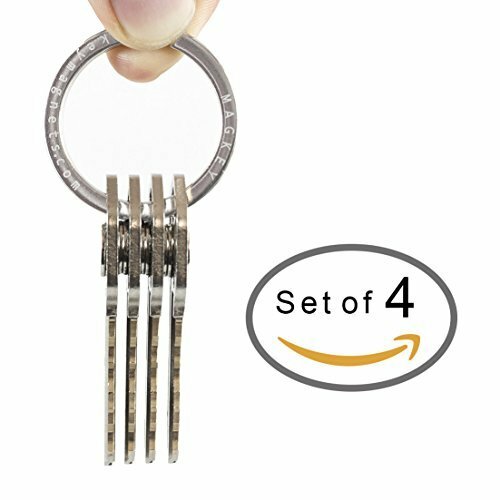 This set of 4 Magkeys magnets is only $10 at the point of this writing. 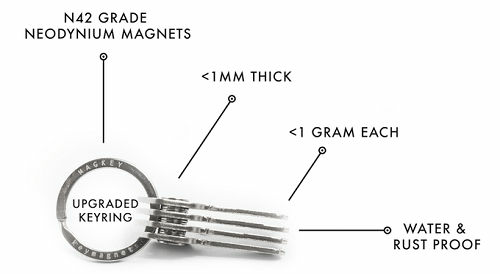 The MagKey pack comprises a keyring and a set of 1 mm (0.039 in)-thick magnets, in both positive and negative polarity, plus an optional keychain. It works as follows: you attach the sticky side of a positive magnet to one side of the bow of a key and a negative magnet to the other side. 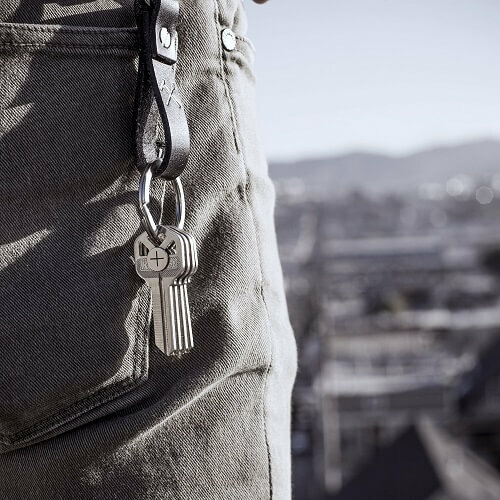 The keys are then threaded onto the new keyring, positive attracts negative and a few keys become one block for jangle-free bliss. 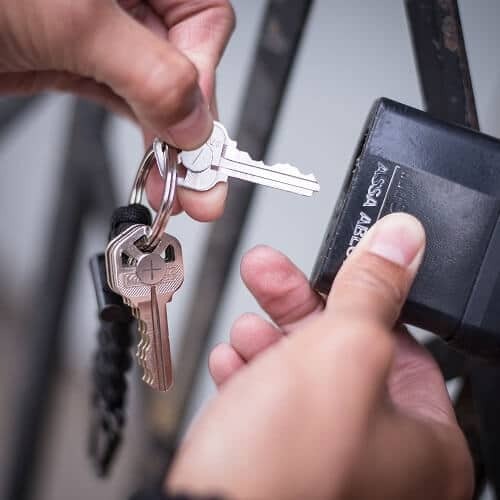 To unlock a door, the appropriate key just needs to be separated from the block, and reattached when done. 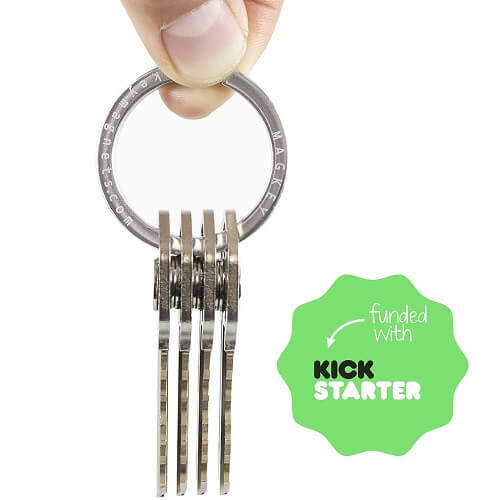 Check out the MagKey pitch for their Kickstarter campaign. 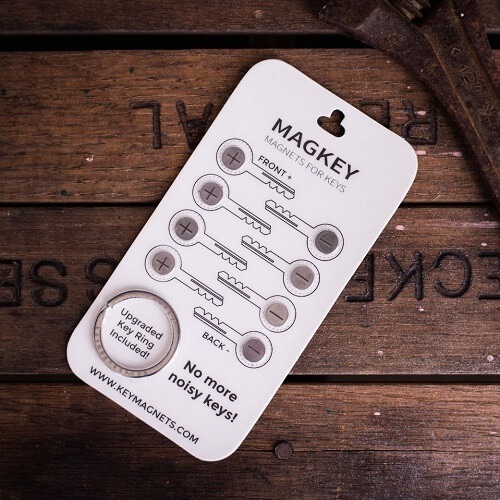 ★★★ EASY TO USE – With MAGKEY all you have to do is peel and stick and let the MAGKEY do the rest. 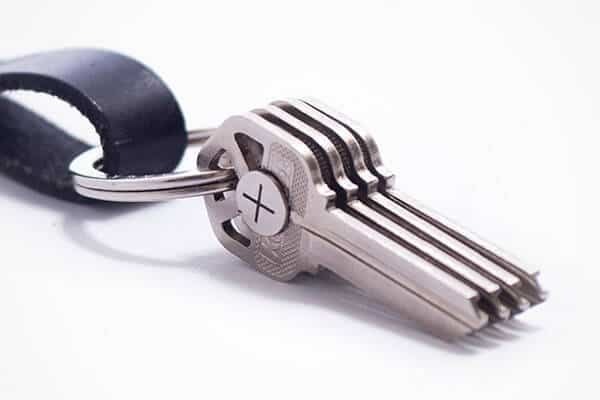 No screws, no cutting, just clean quiet keys 100% of the time. 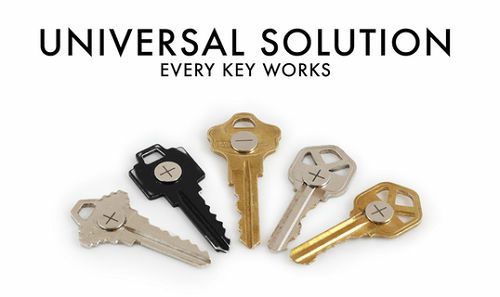 ★★★ UNIVERSAL FIT FOR ALL KEYS – Since the MAGKEY are designed to attract to themselves there is absolutely no need to worry about what size your key is or what metal it is comprised of. 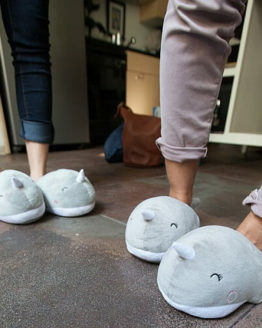 All you have to do is simply peel and stick. 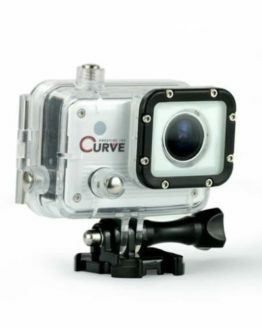 ★★★ DURABLE CONSTRUCTION – MAGKEY is made with high grade waterproof and rustproof materials.